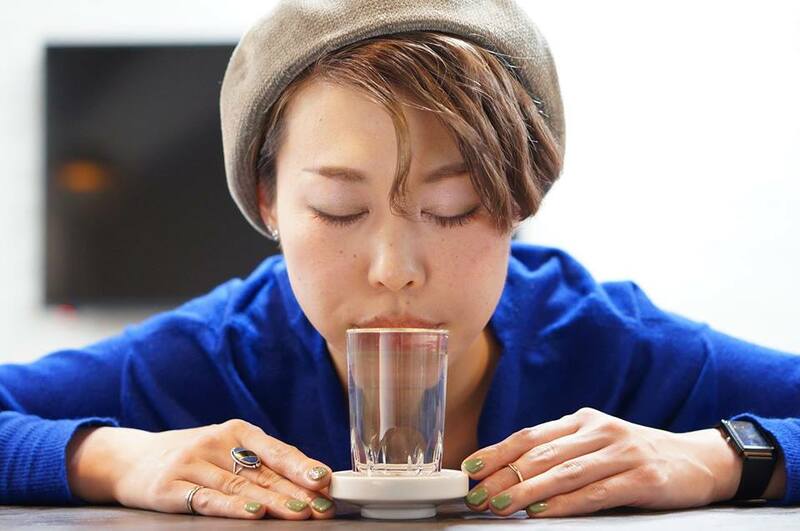 When drinking at Izakaya, (informal Japanese style bar) in Japan, sometimes sake is served in this style: server put a glass inside the Masu or sake saucer and pour until sake overflows form the glass. This serving style is called “Mokkiri” and it is said that the degree of overflowing shows the degree of the server’s generosity. This mokkiri beauty is Ms. Chihiro Nagaoka, who is working at the saloon named “Polku” which is located near Takashimizu brewery. 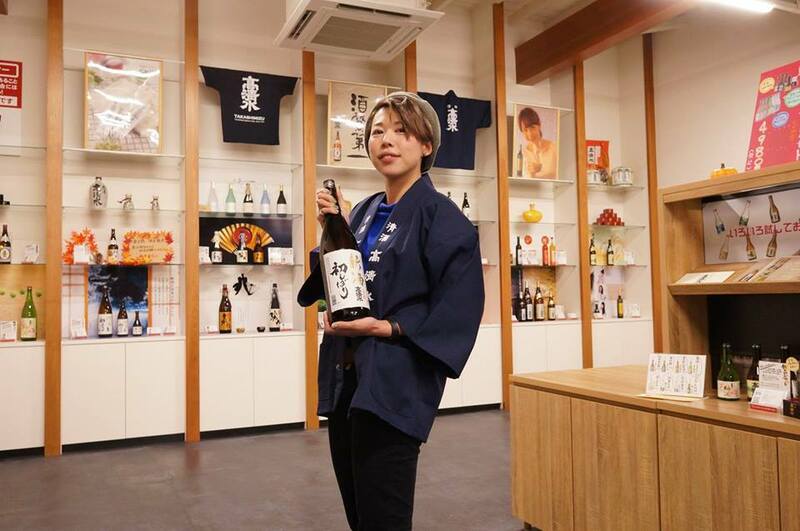 “Since my family home is a shrine, I have been really familiar with sake since I was small, and that’s why even though I live separately with my parents, I feel anxious unless sake is in my house. Takashimizu brewery is neighborhood of my workplace; therefore, I patronize this brand” she said. Thank you very much for your patronage!